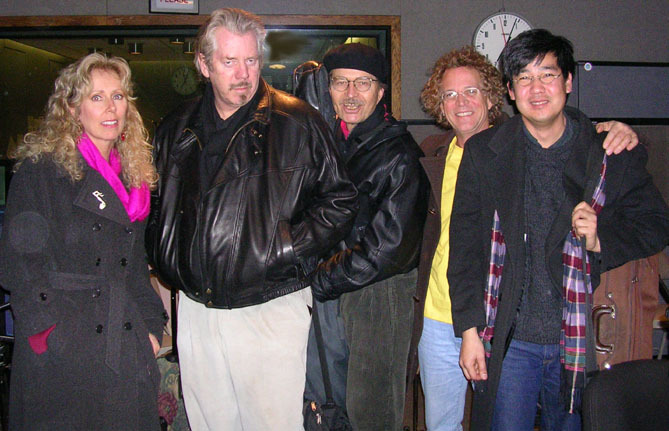 February 28, 2005: A little dance, a little swing, with Dan Hicks and The Hot Licks, along with Ken Field. A chat with Ken Field. Among Ken Field's many projects as a composer, saxophonist, flautist, and percussionist (The Revolutionary Snake Ensemble being his latest group), he's now involved in a dance project called "Under the Skin." Ken dropped by to talk about "Under the Skin" and play a few of the compositions he'd recorded for it. To end things up, Field also dug up a tape of his old band, Johnny & The Luncheonettes, playing a Dan Hicks number. These's more on Ken Field's many creations at his website. Dan Hicks has been making great music since the heyday of the San Francisco scene. "The walking one and only," as many folks are fond of calling him, has been crooning catchy tunes with just the right touch of dry wit and swing seemingly forever and a day. Mr. Hicks' shows are a must see, with the Hot Licks providing the perfect response to his musical calls, which range from the sweet to the purely absurd. Dan's latest disc on Surf Dog, "Selected Shorts," features collaborations with Willie Nelson, Van Dyke Parks and Jimmy Buffett. 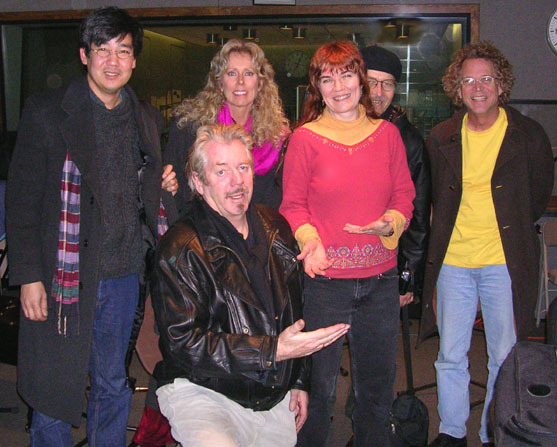 Dan Hicks is certainly a treasure in my eyes, and I was lucky enough to grab the gang for a performance and an interview with 'Dan the Man' during their stopover in NYC. -CD: "I'll See You in My Dreams"